2000 Horizons from Park Resorts gives Brits the chance to explore the entire length of our coastline from your sofa for the very first time and experience the untapped beauty of the UK. The interactive experience, which features over 2000 user-generated images of views of the British coastline, shows off the beauty of the UK even in some of the unlikeliest of locations. Areas undiscovered by many, such as the remote highlands and towns not immediately associated with stunning views like Hull and Barry Island, are some of the places featured with breathtaking horizon photographs. 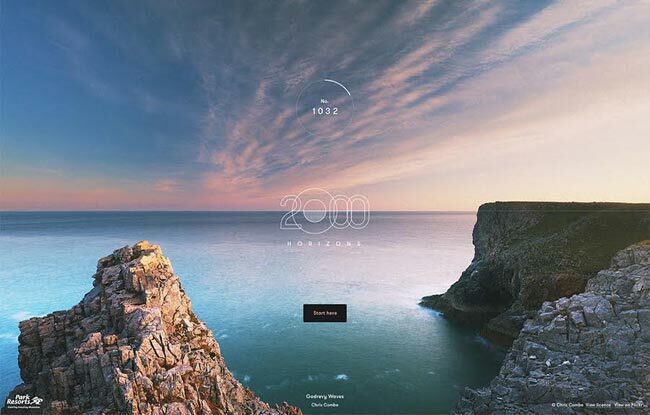 Park Resorts created the 2000 Horizons project to show you needn’t cross an ocean to experience truly beautiful coastlines. Staycations have been on the rise year on year with a 9% increase of Brits going on a UK break last year. However, those holidaying in the UK seem to be sticking to what they know and not exploring different places along the coastline. A recent seaside report by Visit England found at least a quarter of overnight holiday visitors prefer to visit coastal towns within their own region. This figure rises to over half in Yorkshire & Humberside (57%) – home of beaches like Scarborough and Filey – and two in five in the North West (41%) – visiting the likes of Morecambe and Blackpool. Kay Knight, Marketing Manager at Park Resorts, said: “I think people will be surprised at some of the photos taken from our coastline. Many of the pictures could easily be mistaken for the Mediterranean and are not the images that come to mind when some people think of British beaches.